Teaching Toys and Books, The best toy store in the galaxy! Teaching Toys is the best toy store in the galaxy! We have two locations to serve you best. The original Teaching Toys store was opened in 1981 in the historic Proctor District in North Tacoma. Our mission is to provide quality toys that support the emotional, physical, and intellectual growth of our neighborhood's children. We search the world for the best of the best; applying strict standards of safety and durability to the toys we buy. Our staff is trained to assist shoppers in selecting age appropriate gifts for infants, teens and all ages in between from the thousands of products we have in stock. Our great selection, free gift wrapping and customer appreciation punch cards are just some of the reasons we've been named "the best toy store in the galaxy". 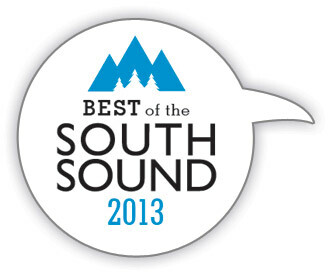 South Puget Sound and Tacoma for voting us Best of the South Sound 2013! 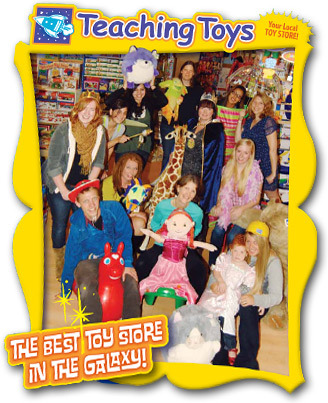 "Readers chose 'the best toy store in the galaxy' as the best kids store this year. Teaching Toys makes it their mission to ensure a happy childhood for all who shop there through the magic of good toys."